Ah, I could gush about J.C. Leyendecker’s works (and his brother’s) for eternity. While his main model was Charles Beach who was his lifelong partner, he also used other models like the actor Neil Hamilton. 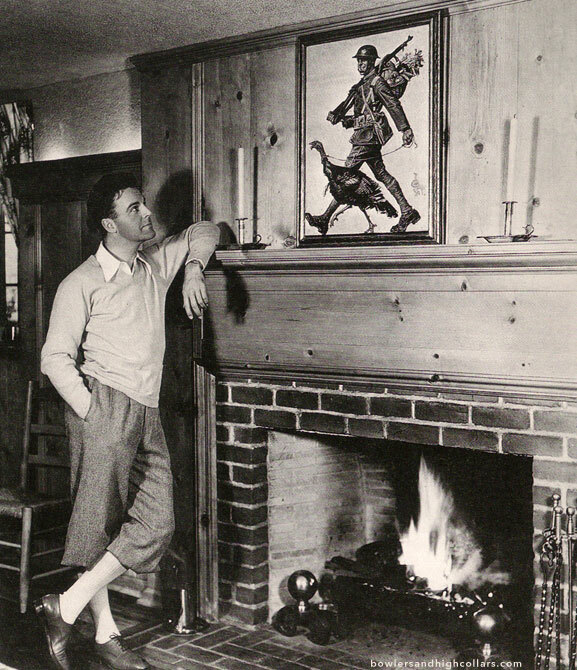 This is a picture of him gazing at Joe’s work above a fireplace. While Norman Rockwell is the ultimate Americana painter in the American psyche, he wouldn’t be anywhere near where he is if it weren’t for Leyendecker. The book is worth the expense. A beautiful collection of his work. This entry was posted on Wednesday, June 10th, 2015 at 12:01 am	and tagged with J.C. Leyendecker, Neil Hamilton and posted in Gentlemen, Others. You can follow any responses to this entry through the RSS 2.0 feed.